It was interesting for me, especially due to the cultural differences. However by the time they go into any real science fiction aspects, it seemed more mystical than scientific. Some aspects seem to be based in science, but when things are explained it detail later on, it becomes a bunch of hand-waving nonsense. When I think of great science fiction, I think of universes where the rules may be different from our own and of stories that explore those rules and inventions in depth to show how they could affect the universe and the people inside it. When this book finally gets around in the last few chapters to explaining the SF behind some things that have been going on in the book it falls flat. With the rules of this universe finally explained, I'm left wondering why the tools were used in the way that they were and not in some other way. That being said, I have a couple credits left this month so I'm going to pick up the next in the series to see if it improves, so it's not all bad. 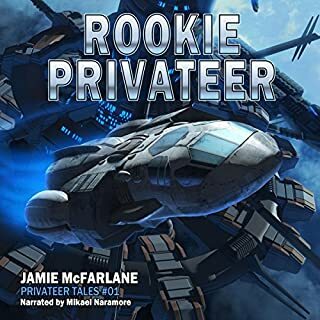 I loved the first book in the lost fleet series, but I read 5 others and they seemed to be on a constant downward spiral. I had a spare credit and decided to pick this up and am glad I did. There’s just a little bit of political bull that doesn’t make any sense, but overall was a pretty exciting read. What about 'he said/she said'? Overall the story was interesting and kept moving along I thought, and the concept was cool. One problem I had with the book was the illogical handling of the legal issues surrounding it. 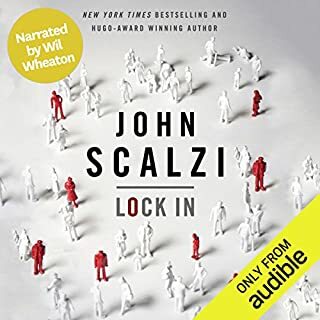 Apparently one of the locked-in can borrow the body of an 'integrator' and commit murder, and there's no way to find out who was using their body? No records to search? Confidentiality extends to being a witness while the person using your body murders someone? A priest might not be able to divulge (or be forced to divulge) when someone confesses to murder, but if the priest saw it happen they would have to testify to what they saw. They might make interesting ideas for plot points, but they fall apart under any scrutiny. Like politics with plot holes? The writing is good and there are some good parts, but I'm 40 minutes from the end and I don't know if I want to finish it. I really doubt I'll be getting more books in the series. For the second time the bad guys have gotten one over on the good guys in a completely unbelievable way. They seem omnipotent in their abilities to create varied terrorist attacks on dozens of worlds and frame other people for them without leaving a trace of their own complicity, and the good guys that actually have some evidence against them feel like it's in their best interest to keep their mouths shut for some implausible reasons. Let a kidnapper and murderer become the governor because you think he MIGHT do the right thing in the end? WHY? Hide the evidence of the bad guys' wrongdoing to get some money and what you think will be enough to check their power when you could have ruined them outright? WHY? Worried about other reviews? Don't be. I worry when I see a lot of 5* &amp;quot;reviews&amp;quot; that don't mention anything about the book in particular, it makes me wonder if publishers or authors are buying reviews. I had an extra credit though and am glad I spent it on this book and will be buying more in the series. I have only read this book so far, but I like the premise. 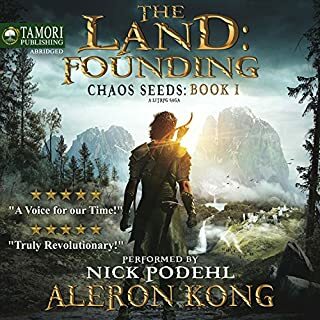 While the other LitRPG books I've read have been in actual game worlds, you can tell from the publisher's summary and by the first chapter that this book is different. The MMORPG is only the vehicle that can transport some players into another reality that operates by very similar rules in which almost all of the book takes place. That makes this more of a true fantasy story where the consequences have more weight. So I'm not sure after reading the book if the protagonist has met any other &amp;quot;players&amp;quot;. Since it is its own reality, I believe all the residents are more like actual beings that live out their lives than npcs that are run by a computer. Nick Podehl does a great job, but I think he could do better with some female characters. It must be difficult to come up with so many voices, but one annoying one in particular was such an exact copy of a character from another book he narrated that I found it a little off-putting. Only a little though, I still gave the narration 4 stars. I never had an interest in paladins. They just didn't seem like interesting characters. So some poor kid is brainwashed enough that he devotes his life to a god and is granted powers in exchange for worship. They seemed too goody-goody and bland. 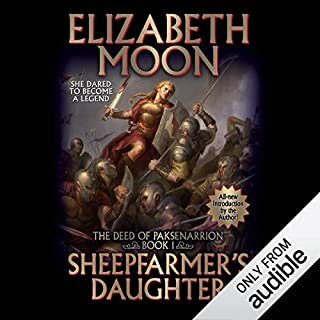 Then we start out this series with a book called "Sheepfarmer's Daughter". If you are expecting high fantasy, you'll be disappointed. I found out entirely too much about how armies trained, maintained roads, and dug jacks. When I first read the omnibus version I got half way through this first book and just about quit. The next week I was staying up until 6:00 am reading when I had to work at 9:00 am because I just HAD to find out what happened. 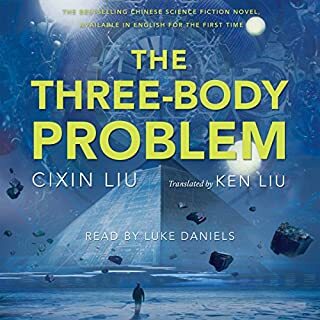 So I wish they would have released the trilogy as a single audiobook, especially since it was originally planned as one story. If you don't want to spend three credits you probably shouldn't get this book, and if you read only this book you will probably disappointed. Looking back after finishing the third book, I appreciated this one more. So if you're looking for something interesting in the fantasy genre and have THREE credits to spend, I would definitely recommend getting these books. This trilogy is one of the few books I regularly go back to and re-read sections of. If you don't want to make the commitment of 3 credits and 50 hours of reading, then you're probably better off not buying this book. If you only read this book it is like reading the first third of a story. Nuclear powered cyborg guard dogs? I'm in! It's a future with few laws. Some of the most important rules are set by what would seem to be small corporations, like when you order a pizza from Uncle Enzo and he has to personally fly in to give you a pizza if it doesn't arrive in 30 minutes or less, the driver darn well better get the pizza to you in 30 minutes. It doesn't matter what havoc you must cause or how many "rules" you have to break. So much going on in this book, and so many great moments. When one of those nuclear powered cyborg guard dogs sees the girl that once helped him is in trouble... I just get the chills. These books are more for younger people, but I still find them enjoyable. 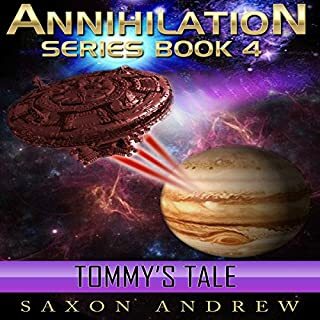 Five thousand years after Sun Tzu writes The Art of War, his advice is followed during the Fourth Interstellar War between the terrible Bugs and the humans, who are aided by their catlike Orion allies. You must need to buy The Shiva Option to hear the conclusion, I personally won't bother. 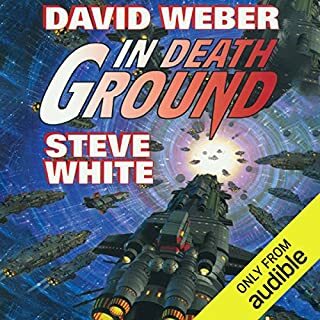 Good military sci-fi gives you characters to root for and battles you can understand. 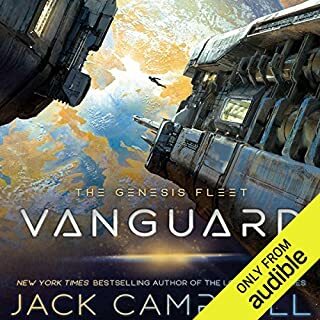 I didn't really care about any of the characters and I spent most of the book thinking a closed wormhole was one way because it wasn't explained well in the beginning. New technologies were brought in but poorly explained. Like near the end the bugs come up with a new thing that can kill fortresses, but the authors don't explain why standard defense would have any problem with it or why it wasn't thought of before. 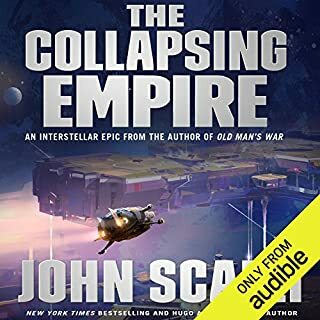 Some of the major battles end half way through , the narrator going in seconds from talking about a major development in the battle to characters talking about the aftermath in another star system. It was hard to follow in places also because it would switch back and forth between narrating the alliance and the bugs, in battles spanning a half dozen star systems with 8 fleets. Not the most demanding book out there, but there are some likable characters and good action scenes. 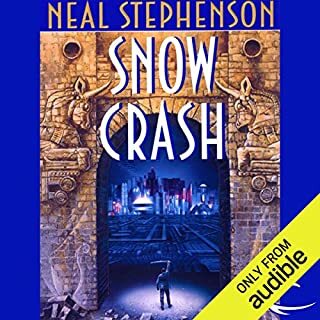 I saw the ebook was free on Amazon and the Audible narration only a $2 add-on so I still have a credit to use on something else. They must be trying to get more people to read in hoping they'll buy the sequels. This worked for me. Some of the reviews had me worried about aspects of the book, saying it was intended for a YA audience and remarking about how the main character noticed women. For $2 though I thought I'd check it out and found that I liked it enough that I'll be getting the next one.